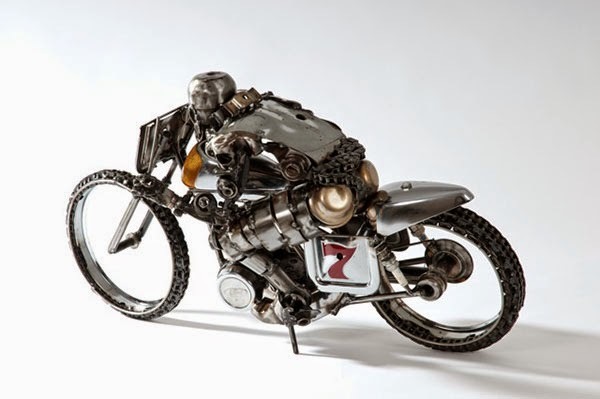 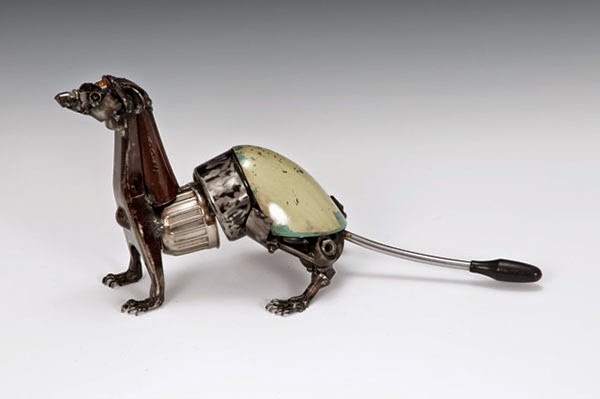 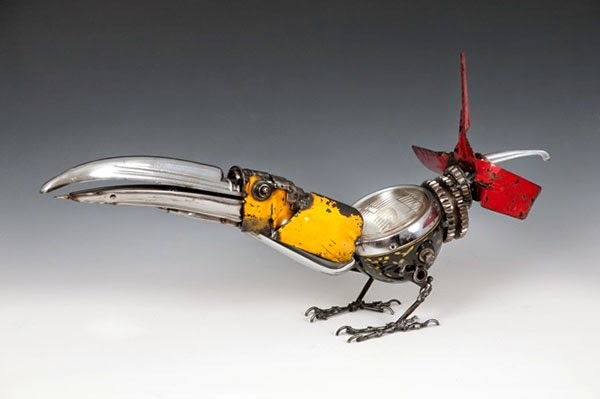 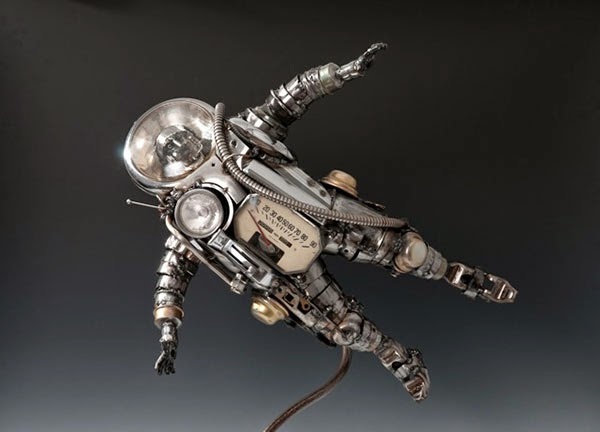 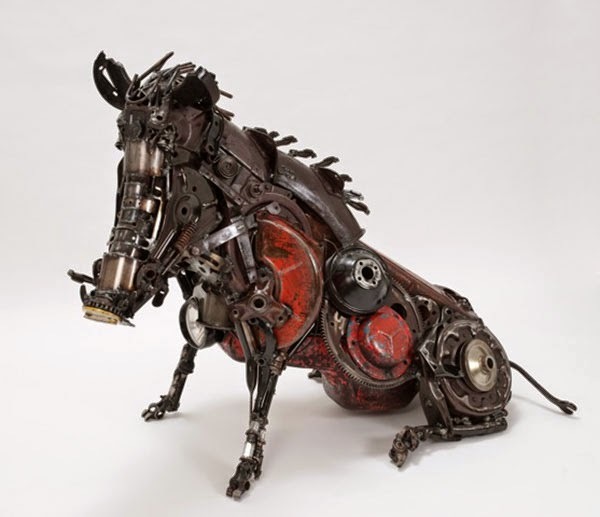 Sculptures made of components salvaged from vintage cars. 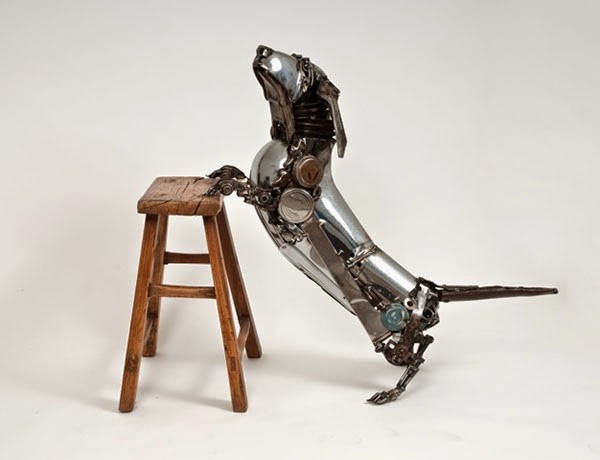 As the proprietor of a specialist motor wrecking business in Brisbane, Australia, he made a sculpture in 1998 and displayed the work on the counter of his shop. 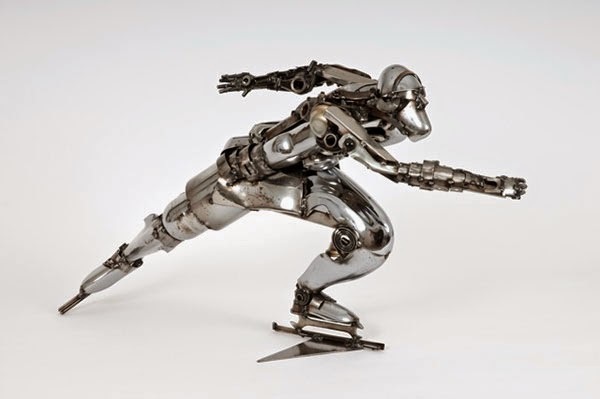 Encouraged by the response from his customers and his enjoyment of creating them, he continued to make more of these sculptures and it wasn't long before they were selling. 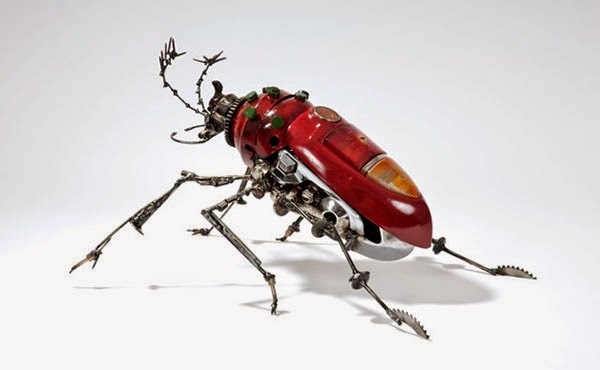 Since then, he has exhibited around the world and his pieces are in the collection of some of the world's largest companies. 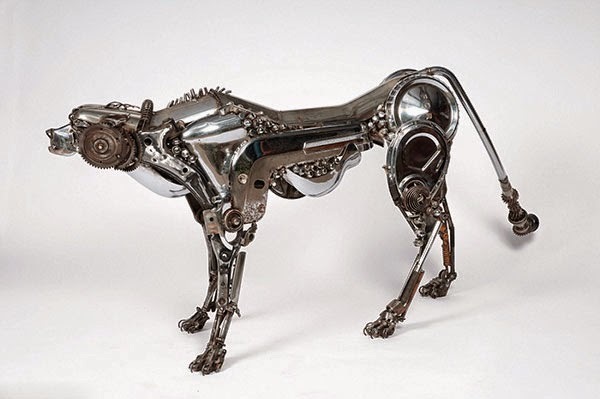 I’d like to think that well into the future my work will be regarded as both a pleasing sculpture, and as an intriguing time capsule from the era of the motor vehicle.